Great news, jelly pals! Zodiac Pop! has just been featured worldwide today on Google Play! We just launched Zodiac Pop! a few days ago and are very grateful that Google has featured us on the Google Play Store. Zodiac Pop! is our horoscope-themed bubble shooting puzzle game. 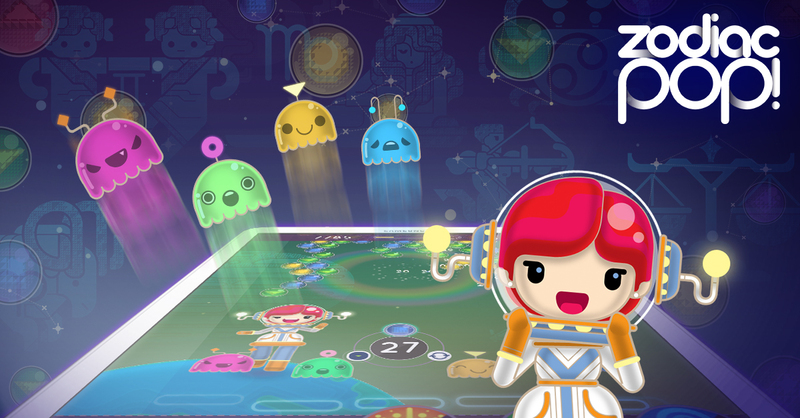 By helping Zoe and her jelly pals match bubbles in space, you’ll get your daily horoscope, free. Unlock more horoscopes as you play, and even look up a friend and find out if you’d make a good match. Have you played Zodiac Pop yet? What did you think of the game so far? Tell us what you think by emailing us at [email protected] Help us out by leaving us a review and giving us a rating! ← Zodiac Pop! is now on Nemesis!